A great love of oil has been one of the latest dietary trends among the American public, notes pharmacist Marla Ahlgrimm. Besides olive oil, there are quite a few alternatives for health-savvy consumers who are seeking a higher level of health and wellness. Q: Which oils would you recommend that people incorporate into their daily diets? Marla Ahlgrimm: For today, I would like to focus on four different oils: sesame, avocado, walnut and coconut. First things first: Sesame oil thwarts cavities, helps prevent sunburn, and can stave off diabetes. It also lowers LDL cholesterol and controls blood sugar. Drizzle sesame oil on Asian-style dishes or roasted vegetables for a tasty and healthful meal. 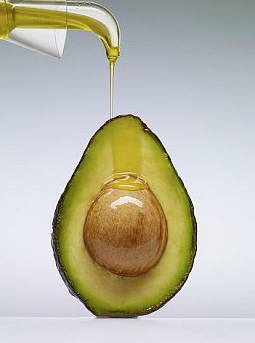 Q: How is avocado oil different from the others and what results would it likely produce? Marla Ahlgrimm: Avocado oil helps promote soft skin and fends off troublesome joint conditions. Containing anti-inflammatory monosaturated fatty acids, it protects the skin and can relieve acute joint pain in some cases. Q: Why would a person’s health benefit from the introduction of walnut oil into a daily culinary routine? Marla Ahlgrimm: Walnut oil helps regulate the body’s reaction to life’s stressors with its collection of omega-3 fatty acids. Through its ability to protect the nervous and immune systems, walnut oil has become a popular suggestion among physicians. In order to benefit fully, try drizzling a tablespoon or two of cold-pressed walnut oil over salad greens, vegetables or pasta. Q: How has coconut oil proven to be such an asset for improving health? Marla Ahlgrimm: Studies show that coconut oil can reduce belly fat, improve digestion and balance cholesterol. Coconut oil serves as an excellent topical antimicrobial or oral rinse due to its lauric acid. Coconut oil also contains medium-chain triglycerides and a variety of antioxidants that improve a person’s overall well-being.